I am a compulsive doodler, I like to make little drawings all over the place and delight in strange little images in my notebooks. Recently I have taken to using Bamboo bad SketchPad on the iPad to do sketches there. Like most of my doodles they are simple, silly,not very good, but at least performed with gusto. 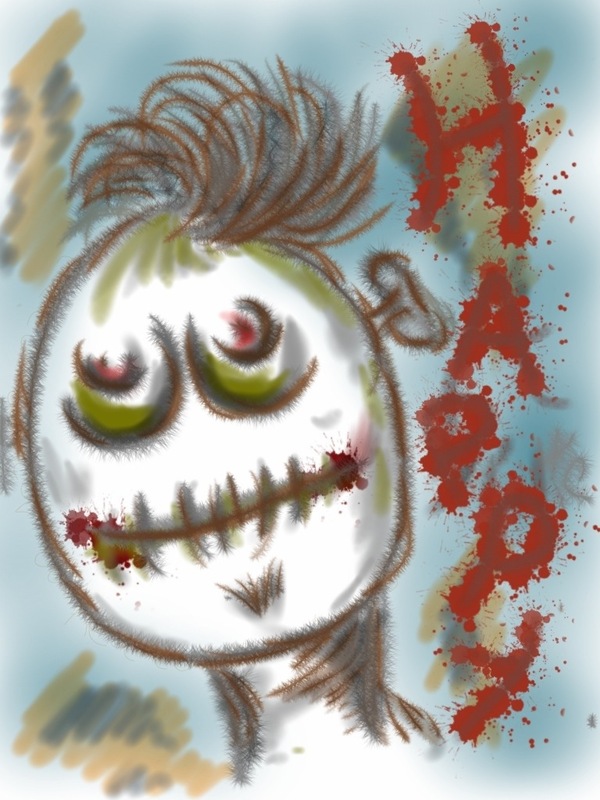 The first long time doodle I did in SketchPad is called Happy and for no other reason than it expresses my intense strangeness I am inordinately proud of it. I have posted it here because I like it that much, feel free to hate it or laugh at any perceived lack of talent. I personally prefer enthusiasm, as that is mostly what I have in abundance.